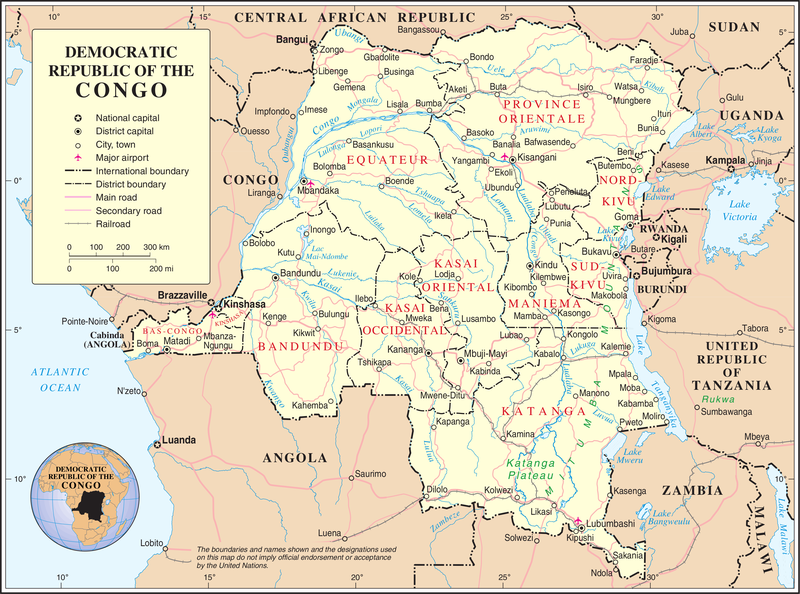 The political context in the Democratic Republic of Congo (DRC) has become highly fragmented over the crisis created by President Joseph Kabila’s refusal to leave office after his term expired nearly two years ago. In an effort to resolve the impasse, the influential Catholic Church mediated the December 31, 2016 Saint-Silvestre Peace Accord, which was supposed to have led to the formation of a transitional government, reforms within the electoral commission, and elections by the end of 2017, without Kabila as a candidate. The Saint-Sylvestre agreement had stipulated that nominations for the positions of prime minister of the transitional government and the president of the implementation and oversight mechanism of the agreement were to come from the main opposition coalition, le Rassemblement. However, the death in February 2017 of veteran politician and prime-minister designate Etienne Tshisekedi, the leader of both the Rassemblement, and its biggest member, the Union pour la Démocratie et le Progrès Social (Union for Democracy and Social Progress), ruptured the coalition. Due to these divisions, the ability of the Rassemblement and its constituent members to organize and sustain their protests ground to a virtual halt, leaving the government in a position where it believed it could forestall elections indefinitely. Some opposition members were subsequently enticed to join the government. Kabila later named one of these defectors, Bruno Tshibala, as prime minister and appointed several others into his government, decisions that were heavily criticized by the international community. In March 2017, Catholic bishops withdrew from their role as mediators, citing the unwillingness of the parties to compromise and the government’s appointment of individuals who no longer had the confidence of the opposition. After several months of deliberation, the Catholic Church decided to take on the role of organizing protests to give voice to the popular demand for political reforms and the holding of peaceful, democratic, and credible elections. To better understand the unfolding dynamics at play, the Africa Center for Strategic Studies talked to John Katunga Murhula, a senior advisor at Catholic Relief Services, who has worked with, and advised the Congolese Conference of Catholic Bishops (CENCO). Why has the Catholic Church taken on the role of organizing the ongoing protests in the DRC? The protests since the end of 2017 have been coordinated by a Catholic group known as the Lay Coordination Committee that has the full backing of CENCO. Several factors explain why the Catholic Bishops decided to shift from their role as mediator to mobilizer. First, the Church leadership felt the need to create a space where pressure for reforms and elections could continue, lest they become drowned out in the wake of a weakened opposition and an increasingly repressive government response. The willingness to take on this role was also informed by the fact that the Congolese Catholic Church has historically played a significant role in the movement towards greater democracy, by supporting pro-democracy activists, and conducting high-level regional and overseas advocacy. Indeed, today’s secular Congolese civil society grew out of the structures of the Catholic Church. In 1991, the Church chaired the Sovereign National Conference that created a framework for the post-Mobutu political transition. This process was interrupted by the war against Mobutu and the subsequent devastating civil war. The Catholic Church persisted in its peacemaking efforts throughout, however, and was instrumental in the negotiations that led to the 2001-2003 Inter-Congolese Dialogue that ultimately brought the war to an end. Second, Church leaders were frustrated with the lack of progress in implementing the Saint-Sylvestre Accord, in particular, the government’s controversial appointments and failure to move forward with minimum institutional reforms to create a level playing field for elections. This was reinforced by the government’s failure to hold elections in 2017 as had been agreed. Third, the Catholic Church is one of the most influential institutions in the Congo, as a major provider of healthcare, education, and other social services. It has also played a major role in voter education and provided significant logistical support to the last internationally recognized elections in 2006. The Catholic Church, therefore, feels it has a moral obligation to pursue a course that will promote peace and justice for all Congolese. So far, Catholic congregations across the country, through the support of their parishes, have organized 149 peaceful marches in their local areas since the end of 2017. Of these, 66 were suppressed while still within the parish grounds, 67 were broken up with live bullets and tear gas, and just 16 have taken place without incident. These demonstrations took place in Beni, Bukavu, Butembo, Goma, Idjwi, Kindu, Kamina, Kananga, Kisangani, Lubumbashi, Matadi, and Mbandaka, among other cities. In Kinshasa, three CENCO-backed protests were organized. The first was on December 31, 2017, the anniversary of the signing of the Saint-Sylvestre Accord. The police killed seven demonstrators. This did not stop the Church from organizing a second, larger demonstration on January 21, which spread to other cities, including Kisangani, Bukavu, and Beni. This time, they were joined by Muslims, Protestants, and followers of traditional religions. Five protestors were killed, and security forces invaded Church premises and humiliated clergymen and women, by beating, kicking them, and insulting them, which is taboo in the predominantly Christian country, causing a local and international outcry. Prior to the third Kinshasa-based demonstration on February 25, the African Union and the governments of Botswana and the United States issued statements condemning the violence in the previous protests. Additionally, the United Nations Stabilization Mission in the DRC (MONUSCO) announced that it would deploy teams in the field to observe the protests as part of its mandate to advance the right to peaceful assembly. Journalists and international human rights workers followed suit. This had a moderating effect, with the police vowing that no demonstrator would be killed. Nonetheless, two people were shot dead by the police and as many as 100 people were arrested, adding to the climate of tension and distrust. The Lay Coordination Committee has vowed to continue organizing and backing protests. Signing of the December 31, 2016, Saint-Sylvestre Peace Accord. Photo: MONUSCO/John Bompengo. What impact has the Church’s stance to organize the elections had on the political process? The Church has created national momentum around holding the elections and respecting the Constitution—core demands of the political opposition, civil society, and the larger Congolese society. The government maintains a rhetorical commitment to the Saint-Sylvestre Accord and is acutely aware that CENCO will remain a key player in facilitating a political solution. It is common to see opposition leaders attending mass and then joining protestors. The government, for its part, has attempted to weaken the protests by having its own supporters infiltrate Church gatherings to monitor how they prepare and organize protests, further souring the relationship between the Church hierarchy and the government. What should external actors be doing differently to help bring this crisis to an end? The demand within Congolese society for elections is overwhelming, which probably explains why the government is trying hard to create the impression that it is committed to holding them and to not change the Constitution. External actors should focus their strategies on locking in an election date by removing any pretext for not holding them on time, whether the government’s reason is a lack of finances or widespread insecurity. This requires providing material and financial support as well as electoral management expertise. For example, South Africa provided its own electoral equipment and personnel to the DRC to avoid a delay of the country’s 2006 elections. There is also an urgent need to support the resettlement of internally displaced persons in a manner that enables them to exercise their right to vote. The UN peacekeeping mission therefore needs more support—not less—given its mandate to create a secure environment for the elections. In sum, what is required is a practical strategy that holds the government accountable to its rhetorical commitments. What is causing the escalation in the humanitarian crisis in the eastern DRC and how is this tied to the political process? The collapse of the Saint-Sylvestre Peace Accord hardened attitudes among both the ruling coalition and opposition. The former are more reluctant to relinquish power than they were before negotiations broke down, while the latter view President Kabila as an illegitimate leader with no moral authority to govern. A mood of defiance has taken hold, which the armed groups—especially those that have been active since 2017—have capitalized on to insert themselves into the fringes of the political process. The violence in the east is more intense because that is where most of the armed groups are based. 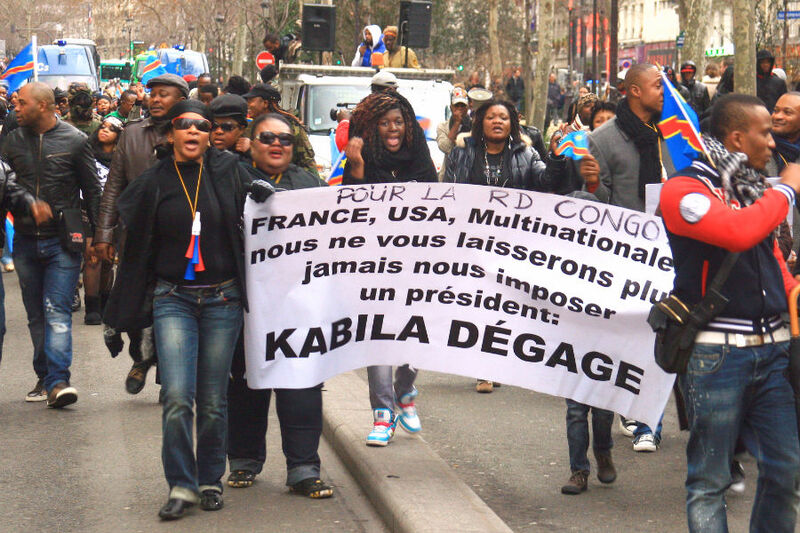 Many of them now see Kabila’s perceived loss of legitimacy as an opportunity to escalate the violence and send a message that a solution to the crisis will have to involve them, one way or another. For many years, the patterns of violence in the east were highly localized and somewhat disconnected from politics in Kinshasa. This is now changing, given the extended political impasse. This can be seen by these groups’ attacks on electoral commission offices, local administrators, and voter registration centers, which they view as illegitimate. One of the major armed groups based in the east, the National People’s Coalition for the Sovereignty of the Congo, now formally calls itself the Alliance for the Defense of Article 64 in reference to the clause in the Constitution that states that all Congolese have the duty to oppose any individual or group of individuals who exercise power in violation of the provisions of the Constitution. This rebel group is part of a larger coalition of militias that is slowly coalescing around a political agenda for a transition without Kabila. Daniel Brown, “The Catholic Church in the DR Congo Has Emerged as the Leading Force Trying to Oust Dictator Kabila,” Business Insider, February 26, 2018. Tom Miles, “Congo Armed Groups Uniting against President Kabila: UN,” Reuters, January 17, 2018. Africa Center for Strategic Studies, “Country in Focus: A Compilation of Analysis, Research and Lectures on the DRC,” 2012-17. Joseph Siegle, “Changing the Political Calculus,” The Cipher Brief, October 11, 2016.